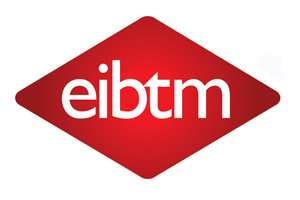 EIBTM opened its doors at the Fira Gran Via in Barcelona this morning, and is expected to attract more than 3,700 hosted buyers over the next three days. More than 53,000 appointments have been pre-scheduled between hosted buyers and exhibitors from around the world, including hotel groups, technology companies, venues and tourist boards. New exhibitors this year include Tiara Hotels, Zaragoza Convention Bureau, Essence of Bali, Oberoi Hotels, Mozambique, Venezuela, Seoul Convention Bureau, Senegal, Poznan and Centre de Congressos de Andorra. Vanessa Cotton, chair of Reed Travel Exhibitions, commented: "The figures are really impressive and show that EIBTM has become the go-to event for suppliers and buyers." EIBTM exhibition director Mandy Torrens added that despite the economic climate the number of pre-scheduled meetings at the show were 4 percent up against 2008 levels.